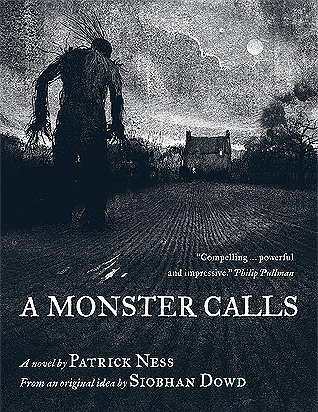 A Monster Calls is an emotional rollercoaster from start to finish. It left me heartbroken and utterly in love with Ness' writing style. The book is written from the point of view of a young boy who is experiencing some incredibly traumatic events in his life, but Ness stays true to his intended audience and the main character's voice remains child-like and relatable. Ness is able to build complex characters with a phenomenal plot in only 220 pages. I felt like I had read a 500 page book when I finished because of the depth that Ness was able to reach. I cried like a baby, cheered for Conor, and was on the edge of my seat for the entire book. I would highly recommend this book. It is incredibly relatable and touches on fears that many are facing every day. It is heartbreaking and I would recommend keeping tissues close at hand, but it is worth the tears. The movie is releasing this week and I can't wait to see it! This has been on my reading list for awhile now. I've read Ness before and love his writing style. Thanks for the review. A Monster Calls sounds like a beautifully tragic and heart wrenching story. I can't wait to read the book and then watch the film adaptation!